We hire out Canadian canoes, kayaks and paddleboards (SUPs) for people to explore this wonderful stretch of river at their leisure. Discover creeks and flood waters where no other craft can go, or gently glide with the tide at low water amongst the mud banks which are teeming with wildlife. Use of our equipment can be arranged from a short hire of up to 1 hour on a paddleboard to a half day. The canoes, kayaks and paddleboards are suitable for all skill levels and ideal for group or family outings. We hire out stable and easy-to-paddle Canadian canoes as well as fun sit-on-top kayaks and paddleboards – all ideal for a range of skill levels. Buoyancy aids, paddles and dry bags are included. We will also provide you with a full safety briefing, a map and suggestions as to where you might explore while on the river. 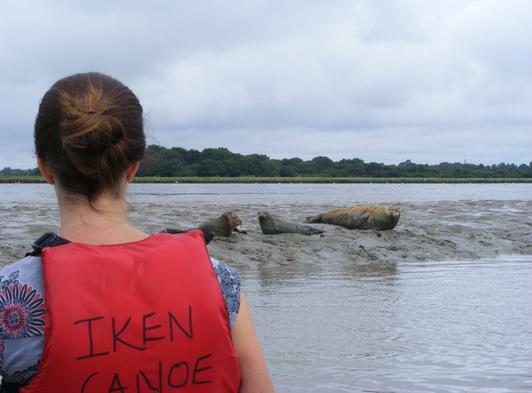 Iken Canoe is open from April until the end of October subject to the weather and at our discretion. Canoe hire can be pre-booked to ensure availability, particularly during the holiday season. Unfortunately, late arrival for your appointed time of hire could result in there being no canoe availability (some important hire rules can be found below). The river itself begins as a freshwater stream many miles inland in rural Suffolk. The tidal section of the river however starts at Snape Maltings – the renowned home of the Aldeburgh music festival, also a wonderful place to eat and shop! One mile downstream of Snape Maltings is one of the most stunning locations in East Anglia – Iken Cliff, where Iken Canoe is based. Despite its remote location, historically, Iken Cliff had many trade routes. As well as being an important fishing village, sailing barges used to transport corn from Iken Cliff to London between 1780 and 1868. Some traditionally rigged sailing barges are still seen on the river. On its 18 mile journey down to the sea from Snape Bridge, the river passes some of the most significant coastal marshland sites for birds in the country including avocet, marsh harrier and curlew. 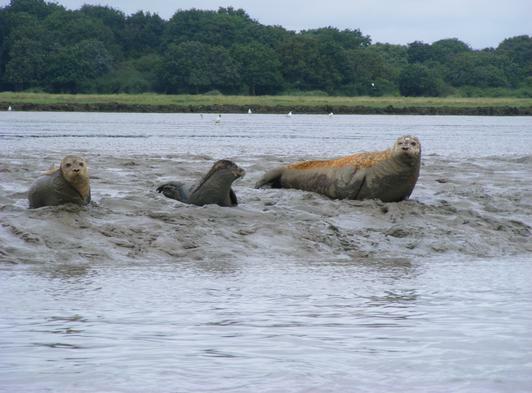 Other wildlife can also be spotted, such as otters (by the very keenest of eyes) and seals basking on the mud banks. 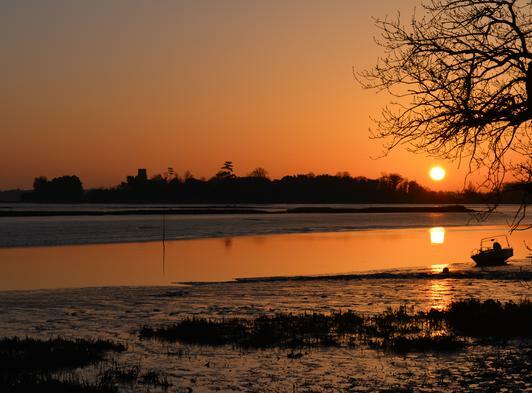 The River Alde is in an Area of Outstanding Natural Beauty – please respect the environment, wildlife and other river users. Call us on 07979 517186 to book or for more information on opening times and canoe hire (if you get the answer phone, leave a message and we’ll call you back). You can also email us at [email protected] for a quick response. 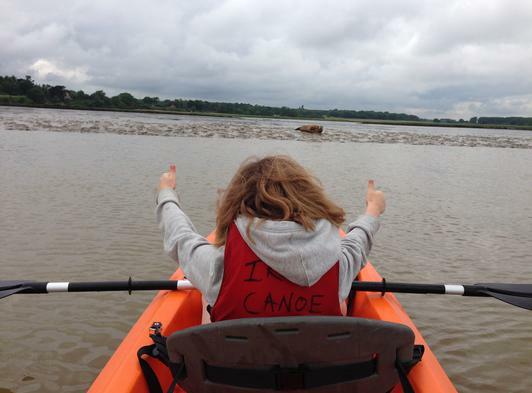 Thumbs up for Iken Canoe! Iken Cliff - one of the most beautiful locations in East Anglia. Seals are often seen by our paddlers. 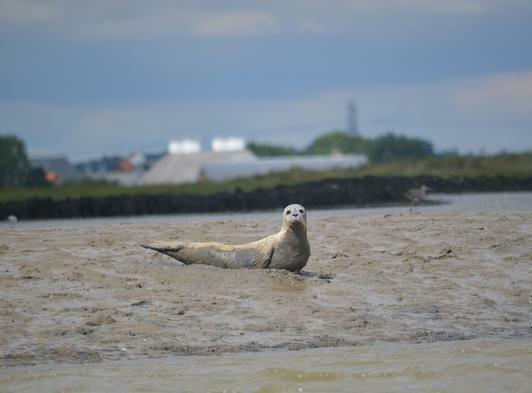 Wildlife on the estuary is wonderful.